The District 73 Website will be undergoing an upgrade starting from the 16th of December, 2017. District emails may also be unavailable. The maintenance is expected to take a few days. By now everyone in District 73 will have received an email from Toastmasters International inviting them to join the new Pathways educational program. Check your spam email or other folders if you haven’t seen it. We have plenty of information here on this site. Go to the home page and then select Pathways, and you will selections with more information. The biggest change in the Toastmasters Education system is landing tomorrow in District 73! You will have received an email from our Program and Quality Director, Liz Allwood. In addition, you’ll also be receiving an email from Toastmasters International tomorrow about how to log on and get started. Here’s the text from Liz’s email to whet your appetite! A huge Thank you and Congratulations to all our members, Club leaders, our Pathways Guides and Ambassadors as this has been a huge team effort. Pathways will be rolled out in our District on Wednesday 6th December 2017. Keep an eye out for the email from Toastmasters International. Please ensure that you have logged into Toastmasters.org and checked your primary email address is correct? If you have done this, then consider yourself to be awesome. 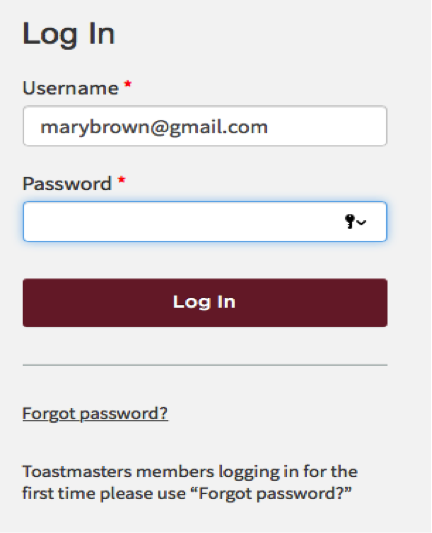 If you are yet to log in, then quickly jump on line now and check your Toastmasters profile. In case you missed out on a copy of “The Navigator” please refer to the link attached. Keep your eye out for the email from Toastmasters International to Welcome you to Pathways. Reach out to your club VPE, as they are the link to the Pathways Guide for all your questions. Enjoy your new learning experience! A number of members throughout District 73 received an unsolicited sales email this morning. We are investigating the issue.